14th March 2018. Stephen William Hawking dies in Cambridge, United Kingdom. Three days later, The New York Times and The Guardian reveal that the company Cambridge Analytica manipulated the data of 500 million Facebook users to develop electoral strategies during the United States presidential campaign in 2016 which put Donald Trump in the White House. The death of the most famous scientist in the world and the security holes of the social network created by Mark Zuckerberg are two pieces of news with no apparent connection, aside from the huge social repercussions: thousands of hours of television, front pages of newspapers, millions of comments on the internet… However, if we look from the point of view of video on demand services, there is another similarity: there are at least two films that could satisfy the widespread desire to delve further into these two topics: “The Theory of Everything” and “The Social Network”. Both of them, on 14th and 17th March respectively, were the Film of the Day. Let’s take the first example to build on this thesis. For many people, the biopic directed by James Marsh in 2014 was one of the first things that came to mind when they heard about the death of the British physicist, as is evident from the thousands of tweets, global Google Trends, and articles (here and here) published by the media informing about the VoD services which have the title available. This opportunity didn’t go unnoticed by certain companies within the sector. 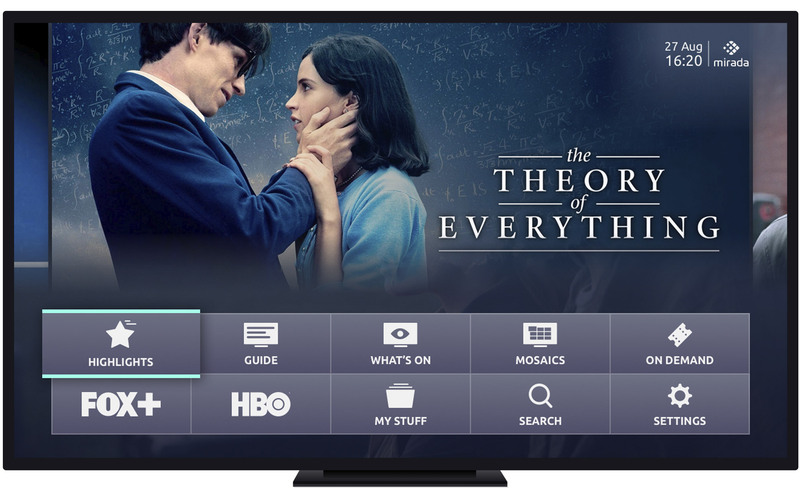 As an example, “The Theory of Everything” was transferred from Cinemax to HBO, its much more popular big brother, just hours after the news broke. Other companies that didn’t have the broadcasting rights on 14th March, such as Claro Video México, acquired the title for their VoD service in just a couple of days. In reality, scheduling and promoting content related to current affairs is nothing new. Television has been doing it for decades. We have all seen how channels broadcast special programmes following the death of anniversary of a famous person, “It’s a Wonderful Life” and “Home Alone” at Christmas, or “Ben-Hur” and “The Ten Commandments” at Easter. What has changed, however, is the context: new technologies provide immediate and accurate insights into what subscribers of a VoD service are talking about, what interests them and, ultimately, what they want to watch today. Monitoring online conversations to pick up on topics relatable to the content of a VoD catalogue is to a certain extent simple and, without a doubt, effective. Once the Film of the Day has been picked, it needs to be communicated to subscribers by all means possible, whether it be on social media, in newsletters or on promotional banners. It is then crucial to measure the impact of the campaign on every channel and, more importantly, the number of views. As with almost anything these days, there is a minority that is against this kind of practice. They assert that it is immoral to benefit from the death of a famous person. Others, however, look at it a different way. A way to give – and receive – the best possible service whilst also paying homage to someone who deserves it, which in this case is Stephen Hawking. Of course, a VoD service should not just be a platform that lets subscribers watch films and series when, where and how they want. With the staggering amount of accumulated content, services should aspire to provide each and every user with something they want to watch as effortlessly as possible. We know that there are many motives for why, in any given situation, we choose something in particular to watch. How much time we have, how we are feeling, a recommendation from someone reliable… all filtered by our specific tastes too, of course. With so many variables (and so many thousands or millions of users depending on the service), the use of powerful algorithms is vital for providing users with constant, personalised recommendations. It would be very difficult for an editorial team to do so single-handedly. However, when it comes to taking advantage of news headlines to promote content, nothing is more powerful than the mind of a professional content curator. Unlike machines, they are capable of understanding context, they know the relationships that viewers have with films and series, and they can extract much more valuable conclusions when analysing data about consumption. Armed with these important insights, an editor can suggest relevant titles every single day to facilitate content discovery and boost customer satisfaction, leading to reduced churn and increased ROI. In other words, experts who hand-pick content is just as effective, if not more, than the minds of machines. So, until the current situation changes, the best way to manage a VoD service is by combining the efficiency of algorithms with human expertise. Only in this way can we take advantage of the constant opportunities presented to us by the news to improve the experience for our users. Opportunities, such as the one Google embraced on 9th April, when they dedicated one of their famous doodles to the Egyptian actor, Omar Shariff. In 24 hours, there were over 10 million searches related to the legendary actor from “Lawrence of Arabia” and “Doctor Zhivago” in the United States alone. A unique opportunity to encourage subscribers to discover, and revisit, some of the classics from the history of cinema. Did you enjoy this article? If you’d like to find out more about how you can maximise the return on your valuable content catalogue, download our free whitepaper here.